CAPE TOWN, Western Cape - As a sedan-class *racing driver, with many years experience on various circuits, I'd like to share my story. My daily ride is a 2007 Mercedes Benz S500. This car is incredibly powerful with massive acceleration. Given my racing and driving experience, I consider myself a safe driver - I started driving 41 years ago and suffered two crashes in my life. One, when I was 14-years-old, in my mom's car when I took it for a joyride, and the second, when I flipped a Renault Laguna on to its roof on a very foggy night attempting to avoid a drunk vagrant in the middle of the road. Fortunately, in both incidents, only my ego was hurt. I believe I'm a safe driver. I always wear my seat belt, maintain a safe following distance, and drive within the speed limit (well, most of the time anyway). Most of the fines I have received were at low speeds - driving 70km/h in a 60km-zone. These are very few and far between and I always pay when I'm handed a summons. After all, I broke the law. Around two years ago I was stopped by a traffic cop in an unmarked car and was fined R1300. I was driving on to a Western Cape freeway using the on-ramp, on my right was a Golden Arrow bus. As I accelerated to merge onto the freeway I spotted some metal debris in the road. I took evasive action to the right and that meant I had to touch the solid white line on my right-hand-side. Now knowing how to drive and knowing at all times what my car's limits are, I wasn't concerned as I was moving much faster than the bus, It must have been travelling at 60-70km/h and I was accelerating in a car with over 300kW on tap. I accelerated, crossed in front of the bus, that was at this stage around 150m behind me and moved into the centre lane with my indicator on. Another thing racers learn is to OBSERVE. Before I even spotted the metal debris on the road surface, I already saw a Volkswagen Golf driving closely behind the bus. I use my mirrors and my neck at all times. I look around me when I drive. I plan ahead. As I moved to the centre lane I accelerated to 120km/h and spotted the white Golf passing the bus on the right-hand-side. The driver did not indicate and accelerated at breakneck speed to catch up with me. "Good luck buddy," I thought, not realising this was an unmarked police car. I initially thought the driver wanted to race me, something I wouldn't do. I don't race on public roads. The next moment he was behind me and turned on his blue lights. So I did what every law-abiding citizen would do - I indicated, pulled into the emergency lane, and stopped. As I got out of my car, an officer started screaming at me to get back insider. I moved around my car and got over the metal barrier on the left. Annoyed at me ignoring his militaristic barking, he asked for my driver's licence which I handed to him. At this stage I was annoyed but remained calm. 'Sergeant-Major-I-have-a-gun-and-you-don't' screamed at me for breaking a number of laws. His annoyance, most of which I gathered, was for not getting myself dragged into an illegal race with him. 1 Crossing a solid white line - I admitted to doing this but I had mitigating circumstances. He was not even interested in returning to the "scene of the crime" to inspect the road when I insisted. By now I was fuming and snatched the fine from his grubby paws. He was still talking to me, or at least trying to, when I drove off. I looked at this piece of rubbish handed to me and thought to hell with this. I'm going to court. On the date of my trial I went to Bluedowns Regional Court, where the traffic court is held as well. Waiting for the court to start, the prosecutor spotted me and asked what I was waiting for. So I explained the story to him, and I said I refused to pay the fine. I told him the entire story and I admitted that I crossed the white line but with merit. If I had cut a tyre and lost control of the car, things would have been worse. That bus would have driven right over me. However, what nailed the matter was when I insisted that this 'enforcer' of traffic law is called to court and explain to the magistrate how it was at all possible for him to see that I made an unsafe maneuver in front of the bus. The only way he would have been in a position to see what I did was if he was either driving in the emergency lane at the time, or if he had eyes that could see right through said bus. The prosecutor, obviously a man of higher intellect, withdrew the charges against me on the spot. The lesson here is - know your rights. I would seriously not have gone to court had the "officer" fined me for crossing the white line only. There is no reason to get aggressive with these people. They carry a gun and a badge, so they rule the situation. However, they are bound by rules, and in the event that he crossed those rules, he would be disciplined for that. On the other hand, this is South Africa. We know what the present state of policing is, don't we? I stood by my rights and would have loved to cross-examine that man. His lies would have made him a total fool that day. Thankfully, there are people with a lot more common sense than these idiots. Cape Town Metro, please train your officers PROPERLY. By the way, this letter is in no way racially biased as we were both the same 'colour'. Talk about the silly season... We've heard of drivers being ticketed for bizarre reasons but now, traffic officials have become ridiculous. Is SA's finest just lazy or what? 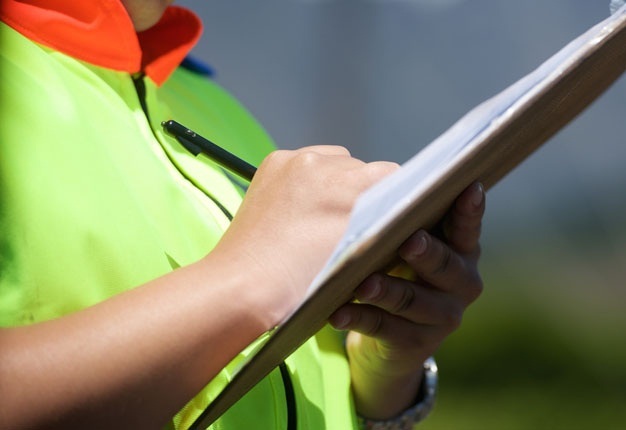 Wheels24 reader JURGENS VAN EEDEN believes that citizens will never respects the South African police unless they begin upholding the law.